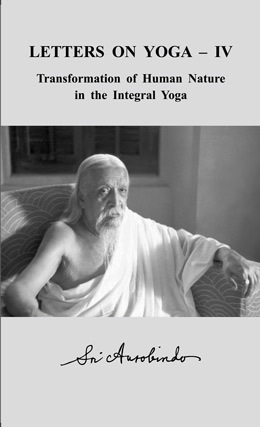 Letters on Yoga–I and Letters on Yoga–IV, volumes twenty-eight and thirty-one of The Complete Works of Sri Aurobindo (CWSA), are now also available in soft cover binding. Volumes II and III, the other two volumes in this series of four, came out previously in the same format and were announced in our eNews of 19 November 2014. The letters in these volumes have been selected from the large body of letters that Sri Aurobindo wrote to disciples and others between 1927 and 1950, but primarily in the 1930s. Many of them are being published for the first time. In the Complete Works the four volumes of Letters on Yoga incorporate the letters published in the Sri Aurobindo Birth Centenary Library (SABCL) edition, but also contain quite a number of letters that have come to hand in the four decades between the two editions. About thirty percent of the letters were not published in the SABCL edition. The newly published letters are equally distributed among the four volumes. The Atman is one in all, is not born, does not evolve or change. The soul is something that comes from the Divine into the evolution and as the psychic being it evolves and assumes different personalities from life to life. It [the world] wants and it does not want something that it has not got. All that the supramental could give, the inner mind of the world would like to have, but its outer mind, its vital and physical do not like to pay the price. But after all I am not trying to change the world all at once but only to bring down centrally something into it it has not yet, a new consciousness and power. The Power does not descend with the object of raising up the lower forces, but in the way it has to work at present, that uprising comes in as a reaction to the working. What is needed is the establishment of the calm and wide consciousness at the base of the whole Nature so that when the lower nature appears, it will not be as an attack or struggle but as if a Master of forces were there seeing the defects of the present machinery and doing step by step what is necessary to remedy and change it. In these personal letters Sri Aurobindo guides, illumines, and sometime coaxes his disciples towards a right understanding of both the foundation on which the Integral Yoga is built and what they can expect in the course of their sadhana. The other new books and a DVD introduced in this issue cover a range of interests. 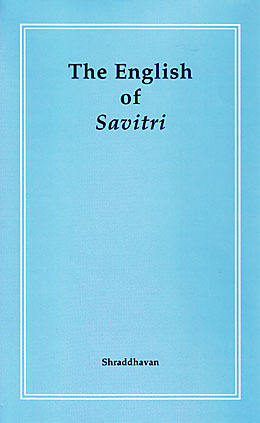 The English of Savitri comments on the language of Sri Aurobindo’s epic poem based on a series of classes held at Savitri Bhavan in Auroville on the five cantos of Book One. Auroville Architects Monograph Series: Poppo Pingel is the first of a three-volume series on Auroville architects that highlight their training and background and the influence of their work in Auroville. 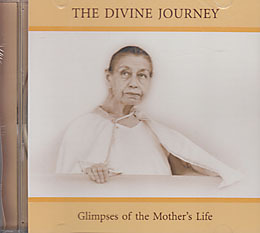 The Divine Journey: Glimpses of the Mother’s Life is a thirty-minute audiovisual presentation prepared by Sri Aurobindo Archives and Research Library featuring photographs of the Mother to the accompaniment of Sunil Bhattacharya’s 1978 and 1979 New Year Music. 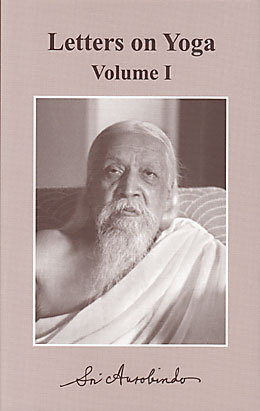 Letters on Yoga—I, the first of four volumes, contains letters in which Sri Aurobindo speaks about the foundations of his spiritual teaching and method of Yogic practice. The letters in these volumes have been selected from the large body of letters that Sri Aurobindo wrote to disciples and others between 1927 and 1950, but primarily in the 1930s. About one-third of the letters in the present volume were not published in the Sri Aurobindo Birth Centenary Library. This first volume is arranged by subject in five parts: the Divine, the Cosmos, and the individual; the parts of the being and the planes of consciousness; the evolutionary process and the supermind; the problems of philosophy, science, religion, and society; and questions of spiritual and occult knowledge. Individual letters deal with many subjects relating to these themes, including definitions of the outer being, the inner being, and the psychic being as well as of the planes of consciousness from the supermind to the subconscient, the supramental descent and transformation, doubt and faith in yoga, and answers to questions about destiny, karma, death, and rebirth. Letters on Yoga—IV contains letters of Sri Aurobindo on the transformation of human nature – mental, vital, and physical – through the practice of the Integral Yoga, and on the difficulties encountered along the way. It is the last volume of Letters on Yoga. Most of these letters were written by Sri Aurobindo in the 1930s to disciples living in his Ashram in Pondicherry. About one-third of the letters in the present volume were not published in the Sri Aurobindo Birth Centenary Library. This fourth volume is arranged by subject in four parts. The first covers sadhana on the level of the mind (mental difficulties, cultivation of the mind, power of expression, and speech), and is followed by sadhana on the level of the vital (the vital nature, vital temperament, and vital defects; human relations and interactions). The third part deals with sadhana on the physical, subconscient, and inconscient levels and the fourth addresses the kinds of difficulties encountered in the practice of Yoga, how to face and overcome such difficulties, and the nature and function of the adverse forces in the sadhana. 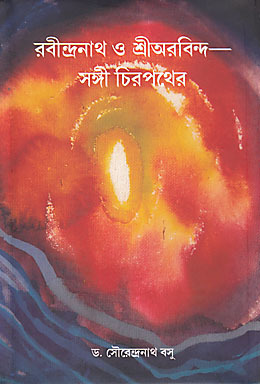 Based on the transcripts of classes given by her at Savitri Bhavan, the author’s aim as reflected in this book has been to try to read the poetry as correctly as possible, according to the natural rhythms of English speech, to gain a basic understanding of what the words mean and the structure of each sentence, and thereby to enter more deeply into the atmosphere of the poem. Drawing on what Sri Aurobindo and the Mother have written and said about Savitri and on what she has learned from the work of such commentators as Amal Kiran, A. B. Purani, Dr Prema Nandakumar, and M. P. Pandit, the author shares her understanding of the poem. This volume covers the five cantos of Book One. 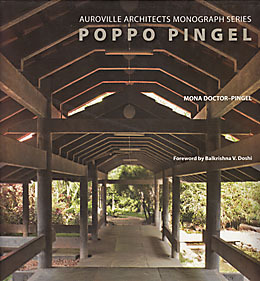 In this first monograph of a three-volume series on Auroville architects, Mona Doctor-Pingel presents a bird’s eye view of architect Poppo Pingel’s life and his influential work in Auroville, as well as a few brief write-ups on his oeuvre penned by those who have been professionally associated with him. The book includes a brief description of Auroville and a Foreword by Balkrishna V. Doshi. This volume is replete with photographs, both in colour as well as in black and white, providing a visual introduction to the architect’s work. It also carries a few photographs of the city of Auroville in its early years. A thirty-minute audiovisual presentation on the Mother's life, this DVD is comprised of photographs accompanied by Sunil's 1978 and 1979 New Year Music.